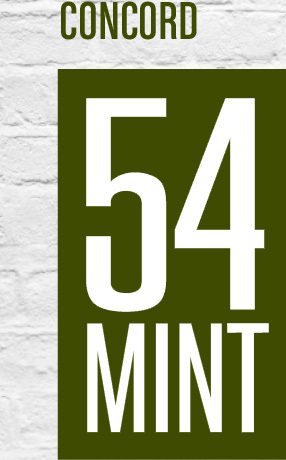 Back to 54 Mint tonight. It isn’t the fanciest of restaurant, and it certainly has no magic in it’s location there in the middle of a suburban shopping center facing the parking lot, but it has character. And a couple of genuine Italian guys busting their buns to make it work for you. I don’t need to write another review, I just loved my dinner so much I want to show you a photo. 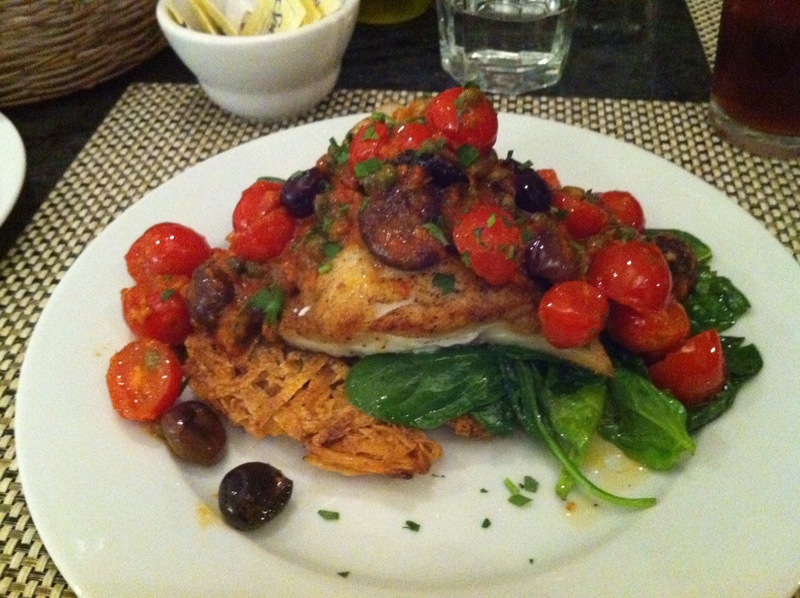 Fresh cod, cherry tomatoes, olives, capers, potato galette, sauteed spinach. It looks wonderful and tasted better. Gail scarfed all of her lasagna. I had the caprese salad again, but then that’s what I always have. If you want good local Italian without pretense, this is the place.